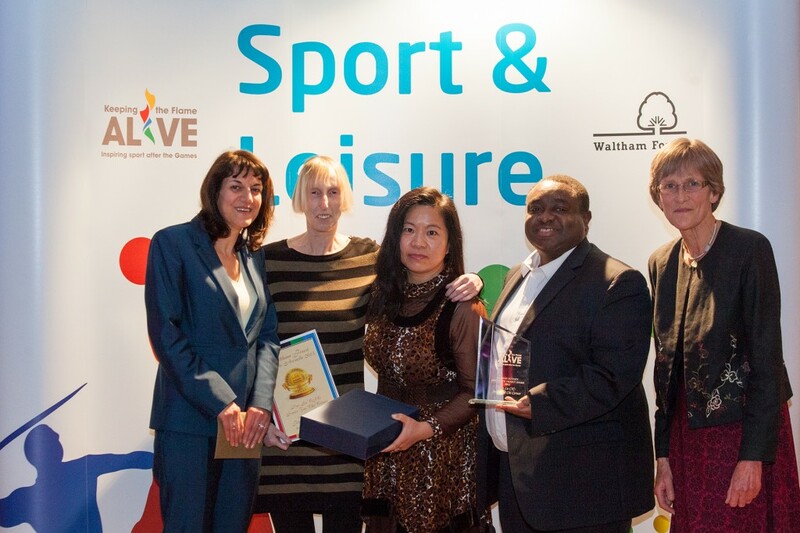 Dao Lu CIC – Senior Tai Chi Corner wins Physical Activity and Health Project Award at the Waltham Forest Sports Awards 2013! Seven people from Dao Lu, representing directors, Senior Tai Chi Corner participants and our project partner Green Space Team, attended the Waltham Forest Sports Awards ceremony on 14 November and walked away with th huge surprise of winning the category of Physical Activity and Health Project! Janet and Alison, participant representatives, said: “You deserve it for all your hard work and commitment. Thank you so much for inviting us to attend the ceremony to represent the group. We absolutely enjoyed the evening.” Another participant Adrian talked about the huge health benefits he got from the project. You can read Adrian’s Tai Chi journey here. Read more about Senior Tai Chi Corner here.